Deciduous, woody, twining vine that produces small tropical tasting fruit. Native to southern China, cultivation spread to New Zealand in the early 1900’s where it was produced in large scale. 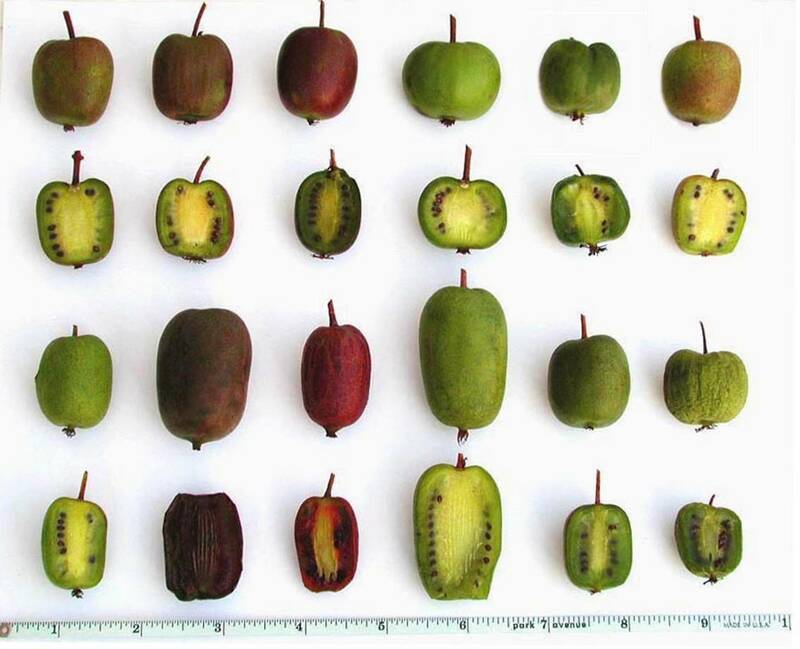 Comparing the common “fuzzy” kiwi (A. deliciosa) with the Hardy Kiwi (Actinidia arguta). The Hardy Kiwi has soft, smooth, edible skin. Only the “fuzzy” kiwi (A. deliciosa) is tropical (zone 7). 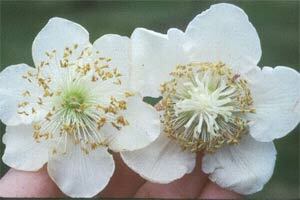 The other two species (Actinidia arguta and Actinidia kolomikta) are known as Hardy Kiwi. They are hardy to Zone 2! 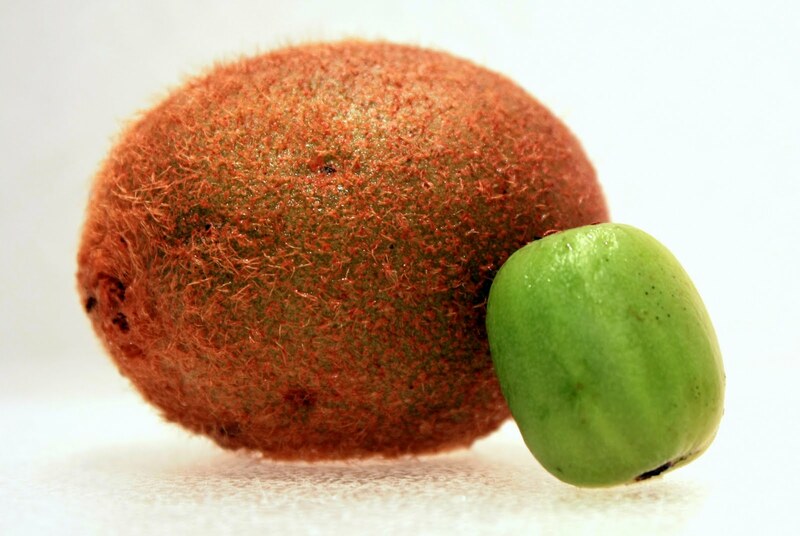 It was dubbed “Kiwifruit” after New Zealand’s national bird, the brown and furry kiwi. Italy is the leading producer followed by New Zealand and Chili. Kiwi is very high in Vitamin C.
There are many, many types of Kiwi in the world! They are not all brown and fuzzy. 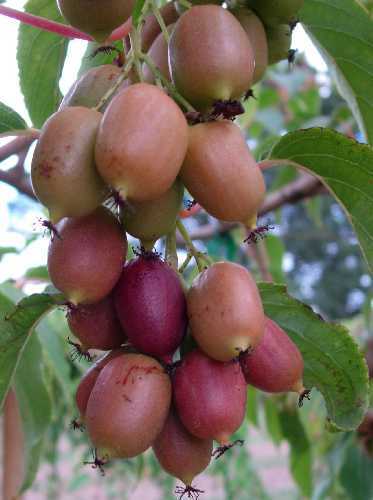 Kiwis are dioecious (male and female plants). 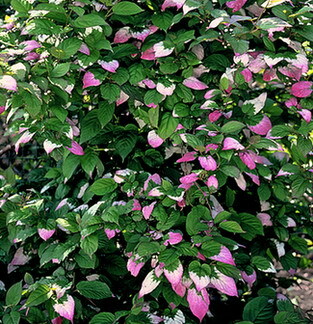 You need one male vine for up to eight females. 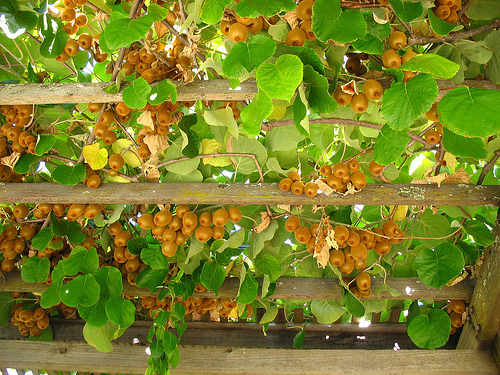 Kiwi vine trellised to an arbor. 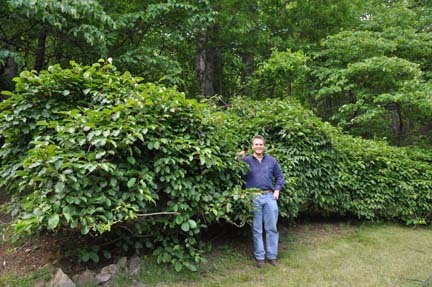 Size: Vigorous vine that can grow to over 100 feet high into trees if allowed. Cats are attracted to the chemicals in young leaves. Propagation: Layering or softwood cuttings. Pruning annually to keep within a manageable size. Concerns: Can grow very fast and high if not controlled. Kiwi allowed to grow in a hedge.